Trudging through the mountains can be difficult when carrying all of the overnight camping equipment and fly fishing gear. While adventure vacations sound great, you aren’t up for a long hike that will get you to the river or stream well past the ideal fishing time. 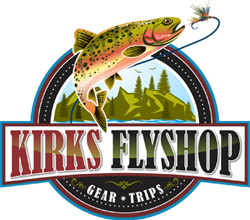 Kirk’s Flyshop makes Colorado fly fishing and adventure vacations much easier! Now you can get to a secluded fishing location with the help of a llama. Our llama pack trips are a fun and “lighter” option to your backcountry experience, and native to high mountain terrain. Let a llama carry in all of your equipment, and you relax and enjoy the hike and scenery. Llamas can carry up to 80 lbs, including children! Your guide will set up camp, prepare all meals, and provide fly fishing guidance.We can also use llamas on day hikes. Kirks Mountain Adventures will provide all necessary equipment, including tents, sleeping bags, backpacks and food, all necessary fly fishing gear, and will prepare your itinerary and reserve your back country sites. Our 6 or 8 hour fishing rate, plus $100/llama. Kirks Fly Shop will use llamas to pack in all of your gear to your site in Rocky Mountain National Park, making your backcountry experience a little less arduous and more enjoyable. Each llama can carry up to 80 lbs. If necessary, you can rent all of your gear from Kirks Fly Shop. Call (877) 669-1859 to Reserve your RMNP Llama Pack Trip, or call or fill out the form on the right for more information or questions.